Leo's final word on the traditional single-cutaway bolt-on axe. 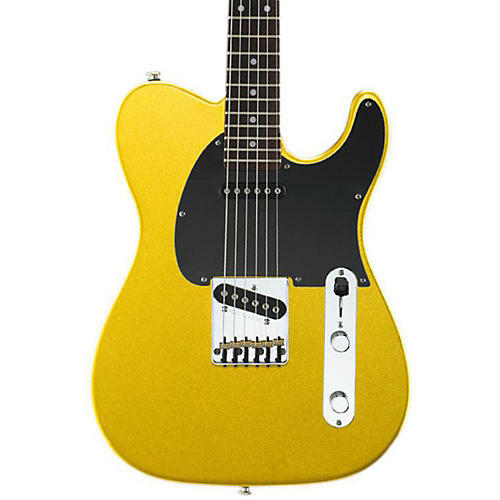 The G&L ASAT Classic is Leo's final word on the traditional single-cutaway bolt-on axe. Framed in a classic boxed-steel bridge, the single-coil Magnetic Field Design bridge pickup created by Leo Fender delivers crisp attack with complex harmonics while individual brass saddles offer modern levels of intonation refinement. Flip to the single-coil MFD neck pickup and you'll discover a delectably rich tonal palette, from round clean jazz tones to thick, gritty blues. Put ˜em together and you'll find a whole ˜nother level of heaven. The ASAT Classic's hard-rock maple neck features an easy-playing satin finish, while its 12" radius lets you bend notes deeply and its Plek-dressed medium-jumbo nickel frets deliver silky playability. The moment you open the luxurious custom-fit Tolex hardshell case made by G&G Quality Case Co., you'll be greeted with a stunning instrument.